Occasionally I create screencasts of my iPad’s screen to show others how I use an app on my iPad. Use software on a Mac computer or Windows computer. Record using a digital camera mounted above your iPad. Take a series of screenshots of each step on your iPad by pressing and holding the Sleep/Wake button at the same time as the Home Button then using an app like Explain Everything or IPEVO Whiteboard app to create the video. 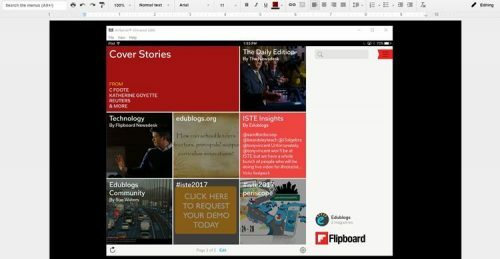 It shows how I follow the ISTE hashtags in Flipboard to curate and share the content using a Flipboard magazine. And here is how I do it! 1. Open Airserver on my computer. 2. Click on Show QR Code. 3. 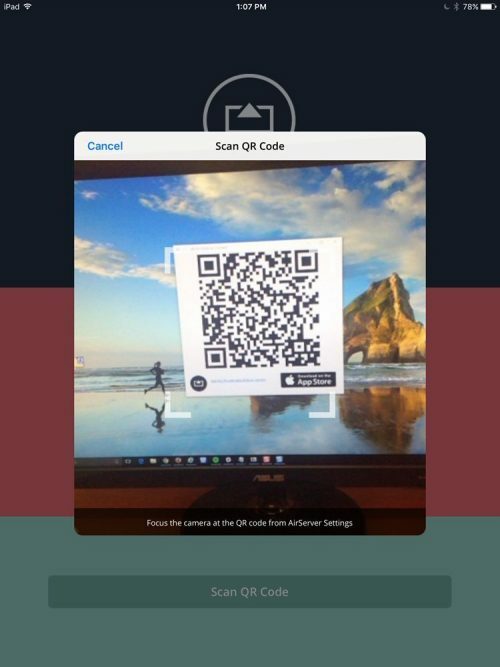 This launches a QR code which I scan with the AirServer Connect app on my iPad (makes connecting easier). 4. 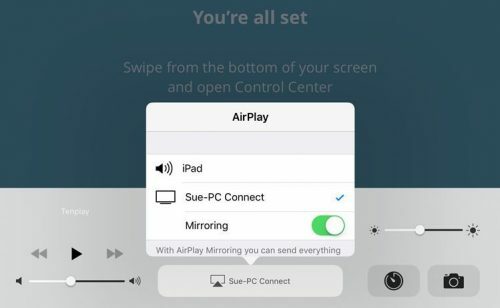 Once connected swipe from bottom of screen, above home button, then tap on AirPlay > Sue-PC Connect and turn on Mirroring. 5. Open the app I want to record and change to landscape so that I can record at a screen size of 1280 pixels wide by 720 pixels high. Below is the Flipboard app mirrored from my iPad onto my computer. I’ve used a Google Document in landscape mode to create a black background behind the mirrored iPad since the iPad is smaller than 1280 pixels wide when set to 720 high. I use SnagIT to create the screencast and connect to my Snowball microphone. The snowball microphone isn’t necessary but produces better audio than headset microphone. With SnagIT I can record and edit the screencast. It isn’t as good as Camtasia but is all I need since I don’t create screencasts often. Use the region option to set the record size to 1280 pixels wide by 720 pixels high. 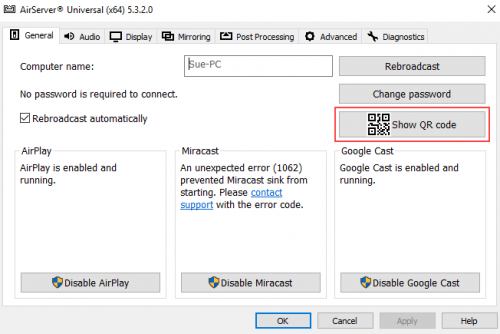 Make sure that the correct microphone is selected and is set to record audio. Very informative! Thanks for showing clearly how to record iPad screen. Currently, I’m using a desktop app call Acethinker iPad screen recorder that mirrors my iPad screen to the computer and use its screen recording function to make videos. It’s not that direct, but it works pretty well. Share it here as an alternative method.